The New Year brings new goals, new objectives and even higher targets. For healthcare decision makers, marketing and sales teams, the New Year means diving head first into budget planning, marketing strategies and the relentless focus on increasing leads and revenue. One of the ways you can get more sales-qualified leads is by connecting with your LinkedIn contacts. There is a reason why a person has connected with your brand through LinkedIn. Find out more about who you are connecting with. You can segment your list of LinkedIn contacts by title, geography or based on a discussion about a particular product, service or industry challenge. For instance, when you are trying to connect with doctors, you can create collaterals and emails promoting medical products, supplies, equipment, educational material through newsletters, magazine or email campaigns. Whereas, if you are contacting hospitals, you can create collaterals and emails that includes educational material, industry news of latest trends in technology, new medical products and equipment, through email campaigns and newsletters. In this way, you can create relevant marketing collaterals and emails that resonate with different healthcare decision makers to achieve higher response and conversion rates. You can manually export your LinkedIn contacts (via the connections tab), upload it to your email service provider and create your email template. Or you can use a CRM tool to integrate LinkedIn in your contact list and segment the list to send relevant emails. Check out this post which has a ready reckoner with tips to customize your marketing campaigns and collaterals that are appropriate for different kind of medical institutions and healthcare professionals. One of the easiest ways to increase leads is by adding a link back to your website in every service or product that you offer. 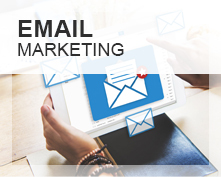 For instance, if you plan to offer email marketing services to hospitals, dentists, doctors, diagnostic centers and public health departments, you can market your brand by adding a link back to your website with every email sent by your customer. Make sure you provide an option for them to choose whether they wish to add your message. You can add your link with every email to ensure your services and products are marketed every time the email is shared. You can also add an affiliate link for those who buy your software or product so that your brand is marketed every time someone uses it. One of the best ways to get more leads or subscribers is to offer giveaways. Everyone likes a free gift and it works. A customized giveaway works even better in urging people to subscribe. For example, by providing a free, dedicated document on oral care, available dental technologies and promoting your related product catalogue will a good way to get dentists as subscribers. You can identify your most potential target market and create customized giveaways for lead capture. 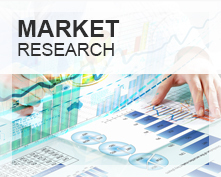 You can create detailed and valuable content resource such as a research report which could have high demand in the industry. Select key webpages which have exclusive information and add a popup box to capture email ids of those people who express interest in gaining access. Provide a compelling incentive and add a popup opt-in box to download or gain access to a marketing calendar or whitepaper. One of the best ways to urge interest in people is to create urgency. This works when you are promoting a product, service, a special time-bound offer or educational material. For example, you are targeting specialty hospitals. With World Cancer Day being celebrated in January, you can plan a time-bound campaign with a special offer for radiology equipment to cancer specialty hospitals. In this way not only is your message highly relevant, the time-bound offer also creates urgency. Establish a time limit for the product, service or offer you are providing. It could be purchasing medical equipment or supplies, in-depth educational material, a webinar invite or a conference pass. You can include a timer to create urgency and urge people to sign up within the time limit. On a final note, while it is important to increase leads; following up with them within the hour has great impact. According to a Harvard Business Review study, when you follow-up with potential leads within an hour, it is likely to have 7 times the impact in conversations with decision makers and increase in conversions rates. 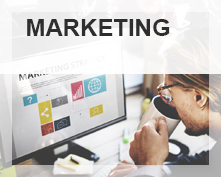 There is also a new wave of marketing tactics followed by healthcare marketers called pipeline marketing. Here the marketer focuses on converting leads into revenue more than spending time on trying to generate leads. It includes mapping of marketing activities across different channels and campaigns, in different stages of the customers buying cycle. While pipeline marketing may lower the opportunity to generate high number of leads it will enable making decisions based on revenue generation. 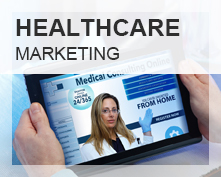 To help prioritize on other strategic marketing activities, get exclusive healthcare leads from us. 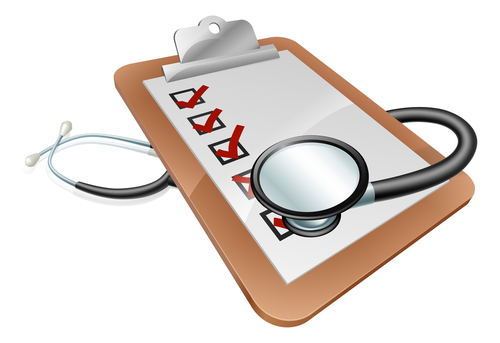 Get in touch with us to get custom built lists for your various healthcare needs. Vice President, Sales has a 15 year track record in B2B marketing and sales. 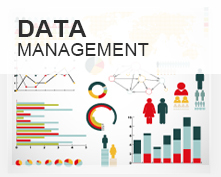 With expertise in B2B Email Appending, Enhancement and Validation made accessible to more than 3000 clients worldwide. An avid traveler, takes keen interest in exploring brand development strategies and unchartered techniques for marketing solutions.